At FoodHQ our mission is to grow food and beverage innovation by connecting the science and business of food. Building on the rich history of food and agricultural research dating back to the formation of Massey Agricultural College in 1926, FoodHQ was established in 2013. 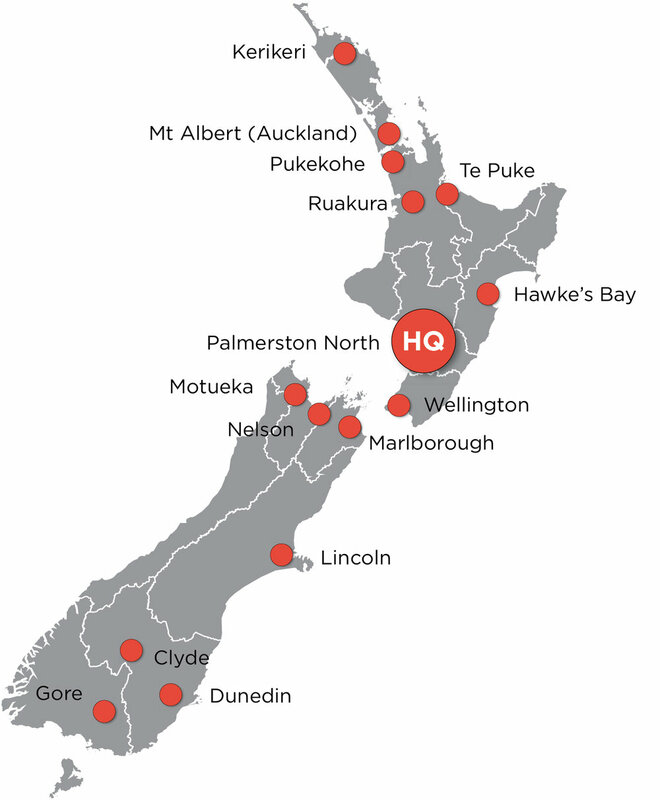 FoodHQ is a world-class food science and innovation hub headquartered in Manawatu, New Zealand with funding partners representing leaders in science, education and business. Our critical mass attracts the world’s smartest food science minds and international investment. 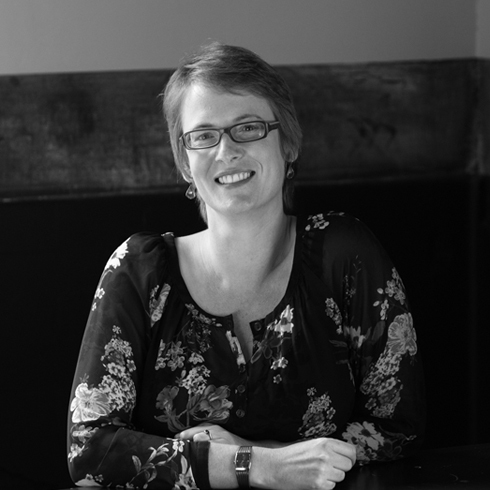 Abby grew up on a farm in Manawatu, studied Food Technology at Massey and then went on to do a PhD in food chemistry. She spent six years in the UK working in nutrition (both in academia and industry), running clinical studies investigating how our genetics can affect the way our bodies respond to food. Prior to joining FoodHQ in 2018 Abby led teams at Riddet Institute and then Massey University, managing industry-facing R&D projects in food and nutrition and with responsibility for the FoodPilot. Amos came to FoodHQ in August 2018 from the Israeli Trade Commission where he spent five years encouraging technology businesses in Israel and New Zealand to work together for mutual benefit. His role in economic and trade development included hosting NZ trade visits to Israel and culminated in several successful technology joint ventures in the agriculture, medical and energy sectors. Amos is passionate about Manawatu and its potential to become an international food science destination. A former journalist and award winning broadcaster, Sue Foley has led corporate affairs for major New Zealand companies Toll NZ, Massey University and Westpac Bank. She has also been a parliamentary chief of staff and chief of staff at TV3 News. Sue’s strong interest in the community is shown through her work as Chairperson of the Sir Peter Blake Trust and directorships of the New Zealand Sport Foundation, Diversity New Zealand and the Central Economic Development Agency (CEDA). Ray leads College activity across agriculture and environment, veterinary and biomedical sciences, natural and fundamental sciences, and engineering. He is an internationally recognised veterinary and agricultural science specialist with clinical and research interests in equine medicine, nutrition and exercise science. David has 30 years international experience with the food industry in New Zealand and globally. He joined Plant & Food Research in 2009 as Group General Manager Commercial, with responsibilities for the company’s marketing, business development and IP commercialisation functions. In December 2017 he was appointed CEO. He is also a director of KiwiNet, BioLumic and the Chair of the Board of BPN Limited. Mark leads one of the world’s largest dairy research institutes, the Fonterra Research and Development Centre (FRDC) in Palmerston North. Mark’s Fonterra career spans 25 years, with roles in New Zealand followed by Japan, America and returning to New Zealand 2016. The FRDC is home to more than 280 researchers, engineers and scientists from 46 different countries, with more than 130 PhDs, 3,500 years of combined dairy experience and 350 patents. Tom has held executive roles in New Zealand and Australian science for the past 20 years. Prior to joining AgResearch, he was a scientist and then CEO at the New Zealand Forestry Research Institute. He has had frequent assignments on advisory boards, external review panels and international science and trade delegations, including the NZ-US Joint Commission on Science and Technology Co-operation and the NZ-EU Joint Commission on Science and Technology Co-operation. Dean has extensive experience with multiple start-ups and technologies. He’s founded an angel investment network, two seed stage funds and is a founding member of the New Zealand Angel Association, where he’s received the Association’s inaugural Kotahitanga Award.